It's been a great and hectic summer. This past month, I was lucky enough to be in Zach Stephens new play, Tailspin! which was featured in the NYC Fringe Festival. I was so thrilled to be part of Zach's vision and am so excited to see where this hilarious play goes! Check back in soon for more updates! Since graduating in May, my life has been a great expenditure of blood, sweat and auditions. In June, I embarked on a three week intensive at One on One called ‘The Bridge Program’ (which I highly recommend to recent College graduates). In August, I had the opportunity to perform in a Staged Reading at The Bowery Poetry Club of An Untitled Musical By Max Friedlich along side some of my best friends. In September, I appeared in AlphaNYC’s production of Little Red In The Hood And Other R-Rated Shorts at The Time Square Arts Center. In October, I began freelancing with Fabio Ciro of The TALENTBOOK-TTA. I also started filming my own web-series entitled, “The Brooklyn Cycle” with friend and collaborator Joey Povinelli (it will be dropping at the end of April). In November, I had the privilege of embarking on a trip to Costa Rica for The Blue Zone Project, an artist retreat led by the awe inspiring Alaine Aldaffer. 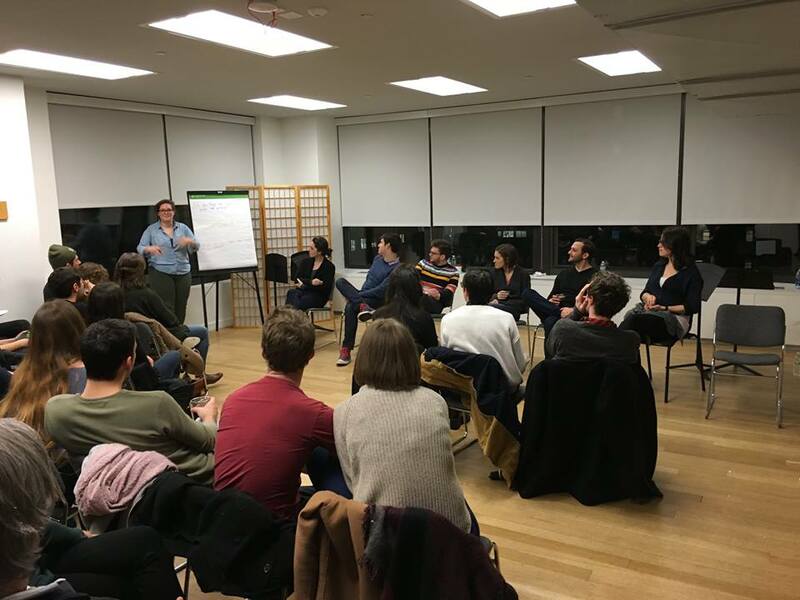 In December, I spent the majority of my time at my desk re-writing and re-writing and re-writing my newest play, POP, which in January was the inaugural presentation for The Pantry Reading Lab Series at The National Opera Center under the direction of fellow Marymount Alumnus, Brian Reager. Since then, the past few months have been filled with shooting some pretty hilarious shorts and student films. It’s been a fun transition year so far. I have a reel now and everything! Talkback for The Pantry's reading of my play POP.